Hai Phong, the third largest city in Vietnam, located about 100km from capital Hanoi, serving as the main port for the northern cities of Vietnam, has been growing rapidly recently. It has made considerable socioeconomic development gains. However, the development of infrastructure has not kept pace with the social and economic needs in particularly in water supply and urban sanitation sectors. According to the Decision No. 1448/2009/QD-TTg of the Prime Minister on adjusted Hai Phong Master Plan by 2025 with the vision to 2050, the city will be expanded and some new areas will become the urban areas; by 2025, these areas will have become the urban areas with the population density of 2-2.5 million as plan while they have no concentrated water supply system. 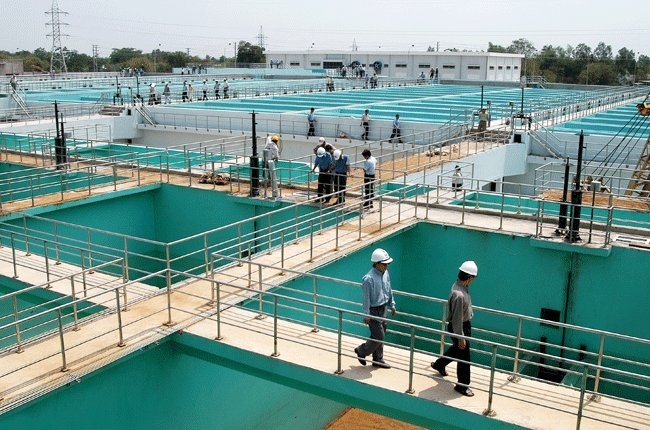 Therefore, Haiphong Water decided to carry out Haiphong Water Supply Project under Vietnam Water Sector Investment Program Multitranche Financing Facility (MFF) – Periodic Financing Request 2 (PFR2) in respond to the water demand by 2025. (iv) Kim Son Component (Construction of Kim Son Water Supply System): Construction of a new Kim Son Water Supply Plant with the capacity of 25,000 m3/day, about 21 km transmission pipelines.